The ABI Partner Program, created in 2004, is a valuable opportunity for companies to market their products and services to decision makers in the bankruptcy field. A variety of sponsorship options and exhibiting forums are available for corporate partners to help increase brand awareness, reach sales goals, and boost business development goals by net working with prospects and existing customers. Financial support from ABI partners allows us to produce exceptional conferences and educational programs, publish award-winning publications and deliver innovative solutions for news and research. Bloomberg Law is an all-in-one technology platform that provides proprietary market data, trusted content and legal analysis, together enabling and accelerating client growth, client excellence and client profitability. Trust Bloomberg Law’s Bankruptcy Practice Center’s tools and resources to stay up-to-date on changes in bankruptcy and restructuring; track recent filings, motions and decisions; and implement revisions to bankruptcy rules and forms. Gavin/Solmonese marks an evolution in corporate consulting. Combining the corporate turnaround experience of Ted Gavin and NHB Advisors with the enterprise enlightenment skills of Joe Solmonese, Gavin/Solmonese leads companies through successful resolution of today’s tough business challenges—regardless of the nature of the issue—from complicated bankruptcy and turnaround issues to the complex, often misunderstood issues of diversity and inclusion. Wilmington Trust has been serving clients for more than a century, providing the strength, resources, and credibility to meet the needs of sophisticated enterprises worldwide. We continuously strive to be a leading provider of specialized solutions and services to corporate and institutional enterprises, and help our clients succeed, with an effective focus on default, high-yield issues, loan agency, and restructuring services. In many of the world's most attractive jurisdictions, we develop customized solutions, pairing technology and staff with world-class, local expertise. Wilmington Trust is uniquely positioned as a conflict free service partner which truly differentiates us from our competitors. FTI Consulting, Inc. is a global business advisory firm dedicated to helping organizations protect and enhance enterprise value in an increasingly complex legal, regulatory and economic environment. The Corporate Finance/Restructuring practice at FTI Consulting has 700+ professionals situated around the world, who focus on strategic, operational, ­financial and capital needs of businesses. As the #1 provider of crisis management services, our experts address the full spectrum of ­financial and transactional challenges faced by companies, boards, private equity sponsors, creditors and other stakeholders, whenever and wherever. Results oriented: Our success depends upon achieving optimal outcomes for our clients. Visit fticonsulting.com. Pachulski Stang Ziehl & Jones LLP (PSZJ) is the largest corporate restructuring boutique in the U.S. with offices in Los Angeles, San Francisco, Delaware and New York. The firm was recently debtor's counsel to Solyndra LLC; represented subsidiaries or affiliates of Lehman Brothers as part of the largest chapter 11 case ever filed in the U.S.; and represented Mesa Air Group in its Chapter 11 cases. The firm specializes in representing debtors, creditors' committees, trustees, liquidating trusts and private equity funds in complex restructuring and post-confirmation matters. PSZJ handles sophisticated business litigation and transactional matters in addition to its renowned restructuring practice. Polsinelli is an AmLaw100 law firm with (i) a national footprint stretching from Delaware and New York across the heartland to Los Angeles, (ii) a top ranked corporate restructuring practice and health care group, and (iii) a mid-market rate structure. Polsinelli has represented numerous chapter 11 debtors, official committees , individual creditors, and bankruptcy litigants nationally in both restructuring matters and their non-bankruptcy alternatives. Polsinelli’s representative engagements include (a) serving as lead counsel to the chapter 11 debtors in Senior Care Centers, Elements Behavioral Health, Inc., Orchids Paper Products Company, PhaseRx, Inc., The Original Soupman, and ActiveCare, Inc.; (b) Delaware bankruptcy, regulatory, and conflicts counsel to the TCEH Creditors’ Committee in Energy Future Holdings Corp. (seventh-largest bankruptcy ever filed), (c) counsel to the Student Committee and CCI Student Trust in Corinthian Colleges, and (d) lead counsel to the Official Committee of Unsecured Creditors in Cherry Bros., LLC d/b/a Cherrydale Farms, H. Krevit Incorporated, Open Range Communications, Crossroads Wireless, and Ultimate Escapes. Polsinelli also recently released The Devil’s Dictionary of Bankruptcy Terms interactive webpage (devilsdictionary.polsinelli.com), which is also available for free on iTunes. Conway MacKenzie provides a wide spectrum of consulting services to help companies throughout the world overcome their most complex business challenges and achieve their strategic and financial goals. Our professionals' breadth of experience and depth of understanding of our clients' business allow us to adopt a multi-disciplinary approach to problem solving. From turnaround management and transaction services to case management and litigation services, Conway MacKenzie provides solutions that can guide your company to where you need it to be. The firm has offices worldwide, including Atlanta, Chicago, Dallas, Dayton, Detroit, Houston, Los Angeles, New York, London and Romania. CR3 Partners, LLC is a national turnaround and performance-improvement firm serving middle-market organizations and stakeholders across a broad range of industries during times of transition, opportunity or distress. Whether outlining strategies to accelerate growth, improving an operating inefficiency, solving a working-capital shortfall, providing urgent crisis management or guiding a company through a bankruptcy proceeding, our seasoned team of executives will quickly assess, stabilize and implement the best value-maximizing options for each situation. Our team is relied upon by companies nationwide who seek senior-level counsel, be it in an advisory or in a more structured interim-management or CxO role. Deloitte CRG is a leader in helping organizations transform periods of financial difficulty or crisis into opportunities for rejuvenation. Having led both large multinational organizations and mid-market companies through unprecedented challenges, we apply our unrivalled experience and superior foresight to achieve successful outcomes for our clients, their creditors, and equity holders. Whether the goal is to enhance the performance of a healthy company, assume an interim leadership role, or guide stakeholders through complex bankruptcy reorganization, our team works closely with the client to quickly understand their business and most pressing issues and then advise them on how to move ahead with confidence. DSI is a leading provider of management consulting and financial advisory services to companies in need of operational improvements, balance sheet restructure or turnaround management. As one of the first turnaround firms in the US, DSI has expanded from its headquarters in Chicago to include a significant national footprint with offices in New York, Los Angeles, San Francisco, Miami, Wilmington and Columbus, Ohio. Internationally, DSI has an office in London. 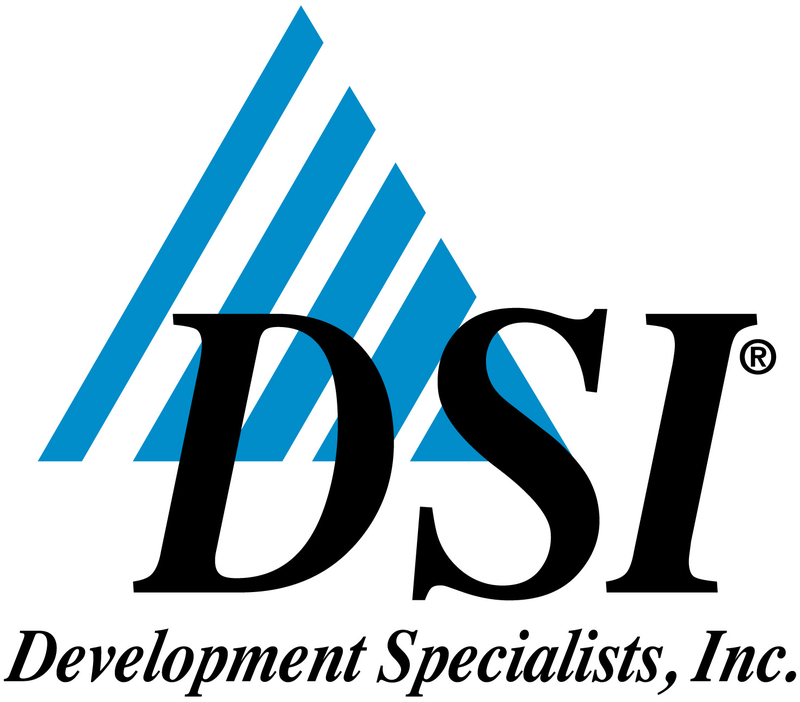 DSI shines due to the extensive background of many of our consultants. Our team includes Masters of Professional Accountancy, Certified Public Accountants, Certified Insolvency and Restructuring advisors, Certified Financial Forensic Accountants and Certified Internal Auditors. DSI’s unique collection of talent also includes two members of the American Bankruptcy Institute’s Commission to Study the Reform of Chapter 11. EisnerAmper LLP’s Financial Advisory Services Practice provides turnaround, restructuring and related adviso­ry services to distressed companies, lenders, unsecured creditors and trustees in the middle-market environment. EisnerAmper’s results-driven approach, along with its breadth of capabilities in restructuring, insolvency advisory, valuation services and forensic accounting, results in the maximization of value for its clients and other stakehold­ers. EisnerAmper’s highly experienced team features years of experience with some of the largest national and interna­tional consulting firms, and it is able to leverage the global resources of EisnerAmper for tax and accounting consulting on domestic and cross-border issues. With 900-plus attorneys and 27 offices, Fox Rothschild LLP combines the robust resources of a national firm with a boutique’s razor-sharp focus. The highly-experienced attorneys of our Financial Restructuring and Bankruptcy Practice provide comprehensive representation and an extensive array of services to clients facing insolvency or involved in bankruptcy and related proceedings. We provide aggressive-yet-pragmatic approaches to problem-solving and obtaining results. Our recent merger with Shaw Fishman Glantz & Towbin LLC added a sophisticated team of attorneys that includes leaders in the field, including two past ABI presidents and three Fellows of the American College of Bankruptcy. Grant Thornton LLP's Corporate Advisory & Restructuring Services (CARS) group includes nearly 100 professionals in 10 offices. Our approach is focused on driving results for our clients. We deliver the relevant resources from our broad range of capabilities in the U.S. and through Grant Thornton International member firms as necessary. CARS works with underperforming and transitional companies and their stakeholders, including lenders, unsecured creditors groups and private equity firms. We work in a variety of situations ranging from development of strategic alternatives to out-of-court restructurings and Chapter 11 proceedings. Our professionals are leaders in providing crisis and interim management services. KCC, a Computershare company, is the leading claims and noticing agent that provides administrative-support services and technology solutions to companies undergoing Chapter 11 corporate restructuring. KCC has set the standard for claims administration services with industry leading technologies and an experienced staff who offers in-depth industry expertise and highly responsive client service. In its role as a claims agent for corporate America's largest Chapter 11 proceedings, KCC provides claims administration, noticing, document production, balloting & solicitation and disbursement services as well as a specialized suite of public securities services. KCC is proud to support the efforts of the American Bankruptcy Institute in the corporate restructuring industry. To learn more about KCC's participation at ABI and other industry events throughout the year, follow us on Facebook, LinkedIn and Twitter. McGuireWoods LLP has more than 1000 lawyers in 21 offices. Our Restructuring and Insolvency Practive Group has 40 lawyers and represents senior lenders, debtors, usecured creditors, estate fiduciaries, asset-acquirers, distressed-debt investors and equity holders in chapter 11 cases, out-of-court restructurings, and complex commercial and financial litigation and appeals. The group combines the bench strength of an international full-service law firm with the agility that is necessary for fast-paced insolvency transactions and litigtoin, including in such major recent cases as Lehman Brother Inc., MF Global, Circuit City, LandAmerica, ASARCO, AMF Bowling, US Airways and Rothstein Rosenfeldt Adler PA.
With more than 750 attorneys and government-relations professionals, including more than 30 bankruptcy and restructuring attorneys practicing from offices in California, Florida, Georgia, Massachusetts, New York, Tennessee, West Virginia, Colorado, Washington, D.C., and throughout the Carolinas, Nelson Mullins Riley & Scarborough, LLP covers more than 65 diversified practice areas, including “bet-the-company” litigation, M&A and major regulatory matters, among others. Many Nelson Mullins clients — including growth companies, expanding local businesses and major international companies — retain the firm to provide all of their legal services. Other clients are national companies requiring assistance with specific regional or local legal matters. PwC’s professional services, including audit and assurance, tax and consulting, cover such areas as cybersecurity and privacy, human resources, deals and forensics. We help resolve complex issues and identify opportunities across these industries. Our Crisis and Restructuring team works with companies to evaluate strategic and financial alternatives. We can also assist with corporate reorganizations, evaluate liquidity positions and advise on operating efficiency and margin enhancement. Skadden, Arps, Slate, Meagher & Flom LLP’s Corporate Restructuring Group has consistently been recognized by peers and restructuring professionals as one of the top restructuring practices in the world. In addition to pioneering “prepackaged” or “prearranged” bankruptcies, the firm also pioneered the use of English law schemes of arrangement for European companies as an alternative to local restructuring and insolvency options. In the past year, our team of lawyers was recognized for its work on three of 2016’s “Largest Bankruptcy Filings,” and for making history as the first to ever receive court approval for the fastest billion dollar prepackaged restructuring.